The Native American Quinault Nation in the state of Washington has filed a lawsuit against Valve, stating that it "does not have a license to operate, facilitate or otherwise engage in any form of gambling." While the Quinault Nation operates its own casino in Washington which is subject to heavy regulations from state and local government, its lawsuit alleges that Valve, which is also Washington-based, has an unfair advantage. 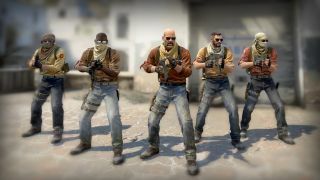 The focus of the lawsuit appears to be CS:GO skins, which led to the Washington State Gambling Commission ordering Valve to halt the 'gambling' of skins through Steam, back in 2016. At the time, a Valve spokesperson made it clear that using Steam to run a gambling business "is not allowed by our API nor our user agreements," and that it had sent cease and desist letters to over 40 websites. Another lawsuit against Valve over gambling was rejected back in October 2016. This lawsuit, stamped April 3rd, alleges that Valve is "well aware of the skins gambling that goes on, is well aware that skins have real world cash value, which has increased their popularity and value, and actively encourages and facilitates skins gambling." The lawsuit is more than 20 pages long. You can read the details here on Scribd (via Geekwire.com). Under the section marked 'Declaratory Relief', the lawsuit says the following. "Quinault therefore seeks immediate injunctive and equitable relief to force Valve to stop offering the crate opening online slot machine game, to stop offering the crate opening online slot machine game until the Washington Gaming Commission can examine it to determine if it requires a license, to suspend and/or eliminate one-way trades to take Skins gambling websites' main source of Skins transfers from occurring, and to take other steps as ordered by this Court to prevent ongoing hard to Quinault and the citizens of Washington from illegal online gambling." The section marked 'Prayer for relief' then mentions "restitution to Plaintiff of all monies wrongfully obtained by Defendant". We've reached out to Valve for comment and will update if we get a response.